Waxahachie ISD offers the privilege of bus transportation for all eligible students during the regular school year. Eligibility is determined by the application of Board policy. We believe that our bus service enhances the learning experience of each student. Every effort will be made to provide safe, comfortable, and pleasant transportation services while maintaining an appropriate level of efficiency. Effective transportation service requires cooperation among bus drivers, staff, school administrators, and parents/guardians. The transportation handbook and procedures are provided on the links to the right so that you can be familiar with our policies. 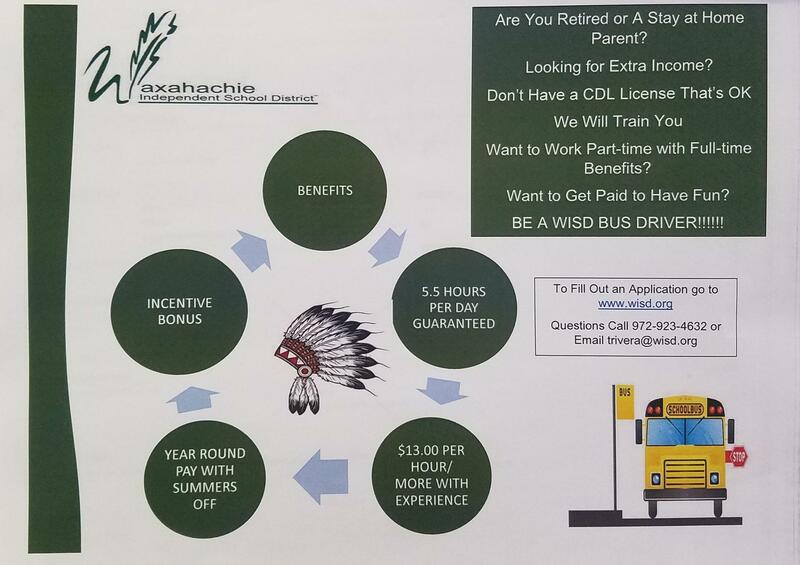 For more information contact the Waxahachie ISD Transportation Department at (972) 923-4632. Which School District do I live in?